As I looked at my doll collection it occurred to me that I have a lot of equipment for them that isn't specifically intended for dolls. My family is used to this and accepts it as part of my "eccentricities" and doesn't question. But I was wondering how many of you also have such a collection. I'm not talking here about the usual stuff such as fabric, stuffing, paint, etc. ; but things that are rather expensive and set us apart as doll lovers and collectors. Most little girls, at one point or another, have a little, toy carriage for their dolls. I have a full size, vintage carriage for mine, as you can see in the photo at right. When I decided my reborn babies needed a real carriage, all I could find in the stores are the multi-functional strollers that pass for carriages today. I wanted a real carriage, so I went online and found this one. It was sort of expensive, but to me, worth every penny! I also have a full size wooden cradle that I originally bought at a garage sale when my first grandchild was expected. She did nap in it as an infant but it has seen much more use with my dolls than my grandchildren! Then there's the infant seat, you know the kind...they bounce a little and babies love to nap in them. Well, so do my dolls. These items can be expensive, as I said, but they don't necessarily need to be. Watch garage and yard sales. Let your friends with babies know that when they are finished with an item you'll be glad to take it off their hands. Check online sites like Freecycle, Craig's List, and Ebay. I've spent less than $400 in total for all my equipment and most of that was for my carriage, which I just had to have regardless of the cost. The point is, you don't have to spend a lot, but having "real" things for your dolls is so much more fun than just toys. 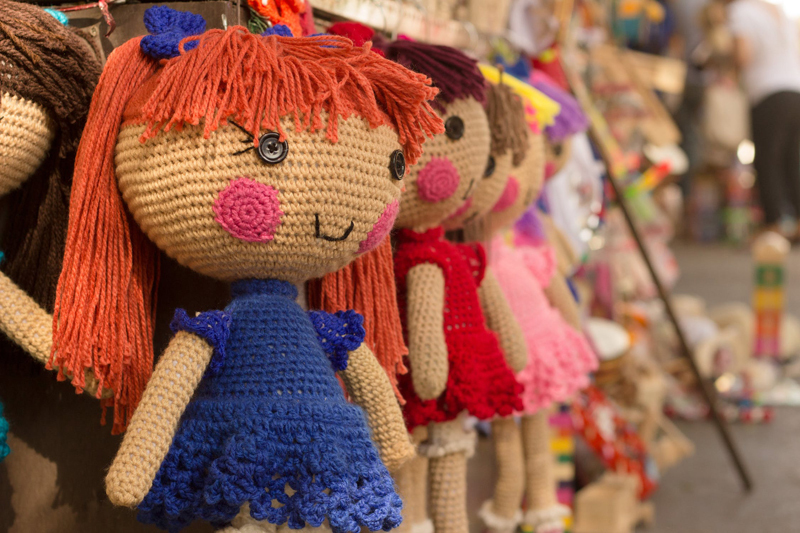 Please come to the Doll Making Forum and share your stories about what necessary items you have for your dolls. Make Clothes for 18 Inch Dolls The most popular dress on the Doll Making Site, The Spring Dress for 18 Inch Dolls, is included as well as 5 other outfits, underwear, and accessories such as jewelry, a bag, a knitted hat and scarf, and the new scrub suit. There are also patterns for slender Magic Attic type dolls as well as full-bodied American Girl dolls and an antique Saucy Walker doll from the 1950's. If you love 18 inch dolls, and want a collection of patterns for a wardrobe, all in one handy Ebook, this is for you! All these patterns are available on the Doll Making site, but I have brought them all together in one book for ease of finding and using them.